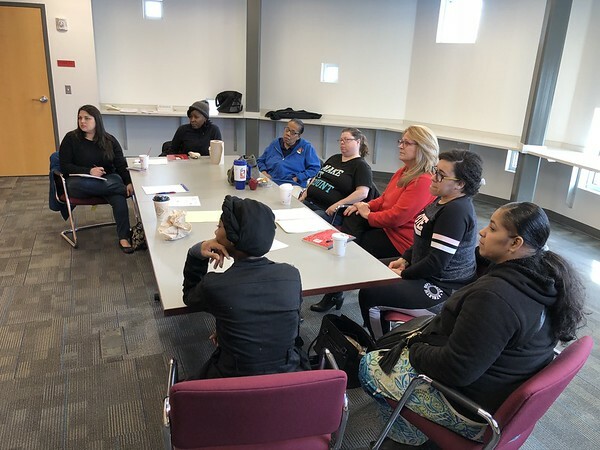 NEW BRITAIN-The New Britain Housing Authority and the Bristol Housing Authority have teamed with the Human Resources Agency of New Britain to provide residents of public and Section 8 housing with 12 hours of financial literacy training. 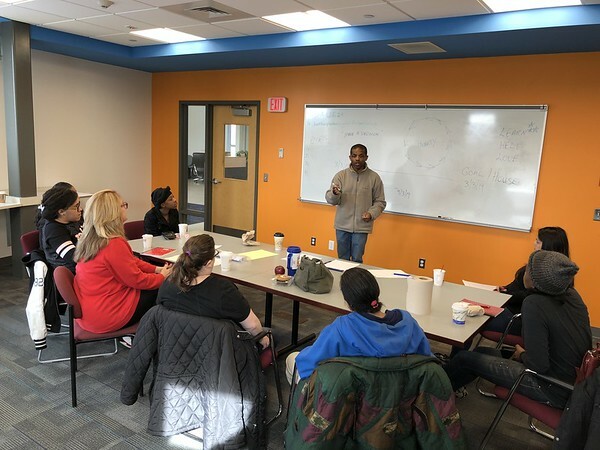 David McGhee, assets management coordinator for HRA of New Britain, presented a program on budgeting at the NBHA’s Center for Excellence Saturday. McGhee will speak about credit reports, debt management, credit scores, saving and investing in the coming weeks. “People who are ‘stuck,’ want to achieve financial goals, or develop a healthy relationship with money will benefit from financial coaching,” said McGhee, who is certified by the International Coach Federation. “We partner with clients in a thought-provoking and creative process that inspires them to maximize their personal potential,” he said. For those looking to increase their self-sufficiency, getting an education is key because it often leads to better job opportunities. Managing one’s money while advancing on the job allows people receiving public assistance to become self-sufficient, and renters to become homeowners. “Financial self-sufficiency is the second most common goal among Family Self-Sufficiency participants,” Bristol Housing Authority Family Self-Sufficiency Coordinator Holly Kobayashi said, “With a job, better job, promotion, and/or career position coming in as Number 1. “When program participants are scrambling just to make ends meet, financial coaching can be inspirational and give hope. Even in a low-income family, there are ways of looking at one’s financial situation and making it work for the person, which David has been showing the group,” she said. McGhee said presentations like these exemplify HRA of New Britain’s work. Posted in New Britain Herald, New Britain on Wednesday, 7 March 2018 15:14. Updated: Wednesday, 7 March 2018 15:17.